College of Mechanical Engineering, Taiyuan University of Technology, Yingze Street, Taiyuan, 030024, China. To improve the repeatability of CAE analysis and design on shearer parts, the author proposes a static-dynamic integration design method for shearer parts while taking into account their structural features. 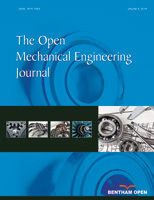 The idea behind this method is that the design is analysis-driven and together with network technology, parameterized technology and optimization technology, it leads to conceptual design of shearer parts and through the integrated analysis on sensitivity of shearer parts in both static and dynamic states, the best design scheme can be offered to users. The author verifies the feasibility and effectiveness of this method by analyzing here the conceptual design of the planet carrier in the cutting unit of some shearer.